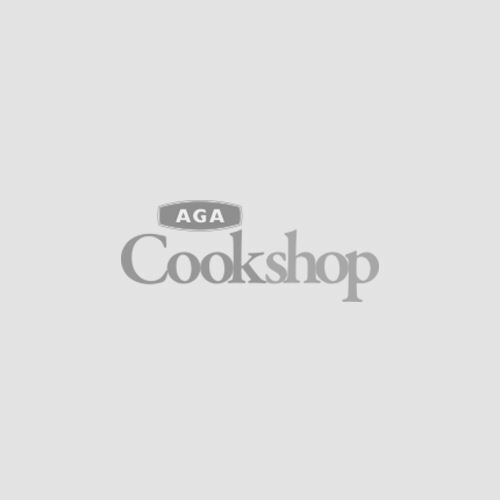 We hope your shopping experience here at AGA Cookshop is one you enjoy, if you think there are any areas we can improve our site we would like to hear your feedback. Browse the shop by highlighting and clicking on the product categories located on the top main menu (Or for mobile device users, clicking on the icon with horizontal lines). Alternatively, if you know what you are looking for; enter the the search term in the search box at the top of the page. Click on the small product image or title to see more information and images on that product. When you find a product you'd like to buy, click on "Add to Basket" button (changing the quantity if you'd like more than one). The item will now be added to your basket, of which you can see a summary of in the top right hand of your web browser. To see a list of items in your basket hover the mouse pointer over this area. All prices include VAT. When you have finished shopping click on the basket or checkout buttons to be taken through the simple and secure payment process. Your personal details are kept secure and not shared with any other company. After clicking the Checkout button (or Click & Collect button) you will be asked to enter your email address, and password, depending if you have already set up an account with us on this new site (Sorry, existing customers from the old version of the site - you will have to re-register). Alternatively, if you have not registered with us on this site before; tick the box with "No, I want to create a password" and click on the "Proceed" button. Continue entering your information. Passwords should be something not easily guessable or obvious and more than 6 characters, leading or trailing spaces will be ignored. Enter the delivery address - or if you'd like to use our Click & Collect service tick that option. If your billing address is different to your delivery address untick the option which says "My billing address is the same as my delivery address". This should then allow you to enter a new address which is where your payment method (credit/debit card, PayPal) is registered to. Customers can place their orders on our website, select a store in a convenient location and when notified, collect their items when ready for free. This will usually be between 2 -3 working days for products that are in stock. You can place an order using VISA Debit, VISA Credit, MasterCard, Maestro, AGA Cookshop e-Vouchers or Paypal. We use SagePay for our online card payments. SagePay has the highest level of card data security (PCI DSS Level 1 compliant) to protect from data theft and fraud. There is also the option to pay using your Paypal Account or set up a new PayPal account. Any valid e-Vouchers should be redeemed at the basket stage where it says "Enter e-Voucher Code" and applied. As soon as you place an order you will see a confirmation page with your order number and receive a confirmation email. Check Spam or other folders if you do not see the email in your usual inbox. Please double-check the information in your confirmation email and if anything is incorrect contact agacookshop as soon as possible. When your order is dispatched you will receive another email with your delivery tracking code (if applicable).